Knockout rose bushes are easy-care, cold-hardy, disease-resistant, with proficient blooming. Knockout rose varieties produce an explosion of colorful blooms every 6 weeks, from spring until the first hard frost of fall. With a wide range of bloom colors to select from and flower petals that are either double or single, it’s easy to find Knock Outs that will fit perfectly into your landscape theme. Adaptable Knockout rose bushes can even be grown in containers to beautify patios and porches.  Nature Hills also carries the very popular knock out roses in tree form - an outstanding variety of shrub rose trained into tree form, with exquisite results! Knockout roses are easy to grow and hardy in zones 5-9, and will reach a mature size of 4 feet tall and wide. The rose bushes are naturally compact and bushy, but can be pruned to fit into smaller spaces. Prune when bush is dormant during the late winter or early spring, feeding with a balanced rose fertilizer immediately after pruning. For the best show of continuous rose blooms, Knockout roses need to be fed with a specially formulated rose food immediately after each bloom cycle. To make up for the frequent bush feedings, the spent rose blooms don’t have to be removed from the bush, as Knockouts deadhead themselves. 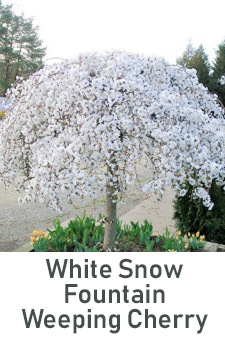 Click the photos to learn more, or call our plant experts at (888) 864-7663.